This message is displayed on the productвЂ™s LCD screen and you will be unable to perform any actions until this issue is resolved. Install in Your printer Epson original ink cartridges. If Your WF2750 printer has stuck in Recovery Mode - run application (at the bottom of this page), follow all 7 steps and wait until firmware update is finished. Restart printer - it have to be in ready to print mode. 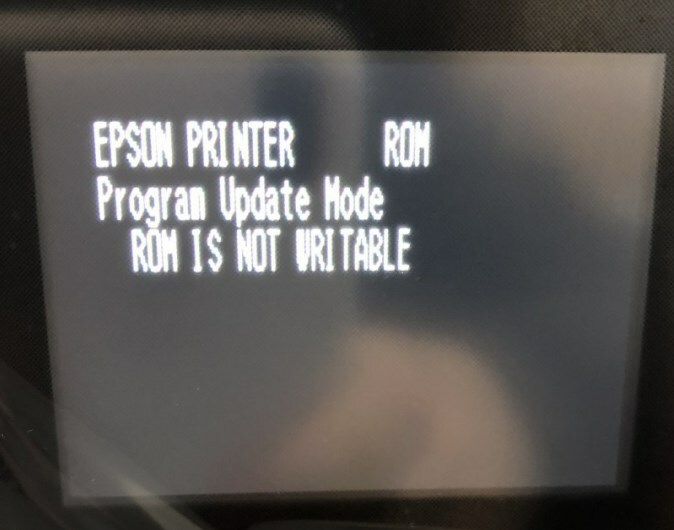 If before Recovery mode your printer had Ink Out error or other kind of errors - You have to run application after You put printer in special Firmware Update mode. You have to press and hold specific buttons combination on printer panel to enter in Firmware Update mode. If text is in red color - that is wrong mode. I recently tried to make my XP-342 chipless. I tried to do it in normal mode, and it didn't work. So I tried contacting the live online help and was waiting for over 3 hours without success. I then decided to bite the bullet and buy yet another firmware key to try and do the update in system mode. I got the error message "ROM NOT WRITABLE", and then the printer got stuck in "RECOVERY MODE". 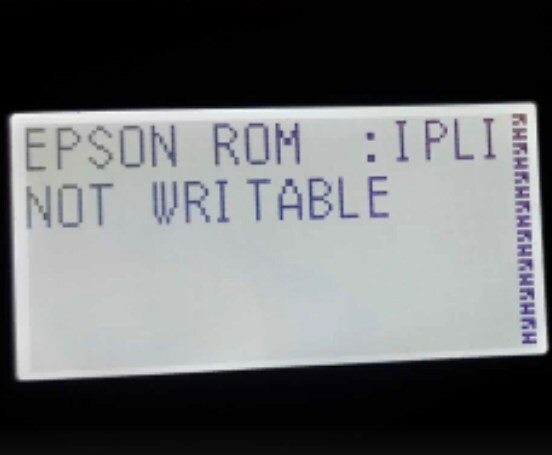 After digging around on the forum I came across the message that printers made from 2015 on-wards can't be updated as the EEPROM is not writable. I literally bought this printer brand new today because I wanted a chipless printer...I chose the XP-342 specifically after checking the supported models list....i'm now out of pocket by 2 firmware keys and the cost of the printer which is now completely broken and unresponsive. I've tried the attached program but that doesn't work either - it just says "FILE NOT FOUND" on the printer after it's been uploaded. If anyone knows a way this printer can be fixed before I purchase yet another one, I think I'd have to marry you.